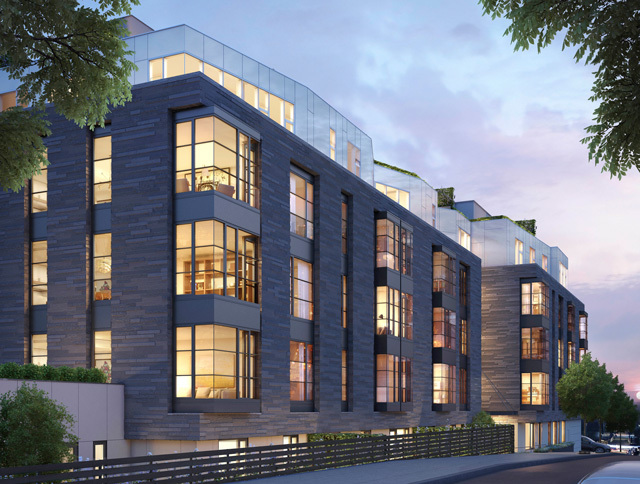 YIMBY sat down with architect Peter Gluck, of the eponymous Gluck+, to discuss the firm’s latest projects in New York City, including The Stack, at 4857 Broadway, and 345 Carroll Street, in Carroll Gardens. The former is the city’s first steel and concrete modular project, while the latter presents a valuable exercise in contextuality. 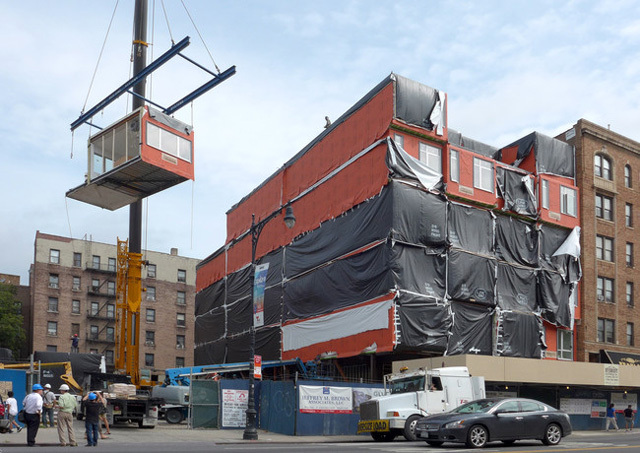 What were the challenges of building a modular building? And what benefits do you associate with this style of construction? 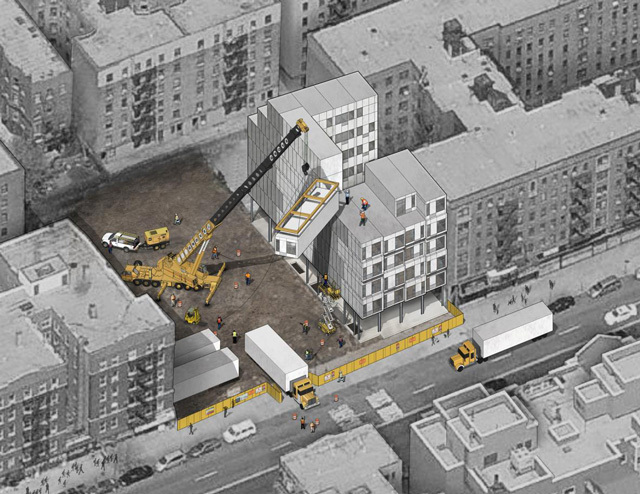 Well, this is the first – people have been talking about modular for a long time and there are several big projects in the works, like Atlantic Yards, but this is the first multi-story steel, concrete, modular housing project. There are 27 apartments. Can you describe the whole process of the building coming together? Well, first of all, modular construction – it’s often misunderstood as low quality – I think the idea is that most people think of it as a product that you buy from a factory, and you have so many units, and then you stack them on top of each other. But that’s not the way we view it. It’s really off-site construction, so you can design a building, figure out how to cut it up into pieces and build it in a factory, then deliver it to the site and put it back together. So the advantages are it’s all built in a factory, all of the electric, the plumbing, everything is in place — and each part is one piece. Yes. 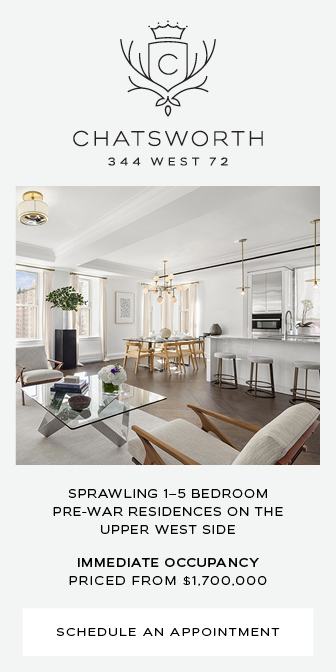 When you say units, you think of them as apartments, but that’s not the case. Modules can be connected to create larger residences. 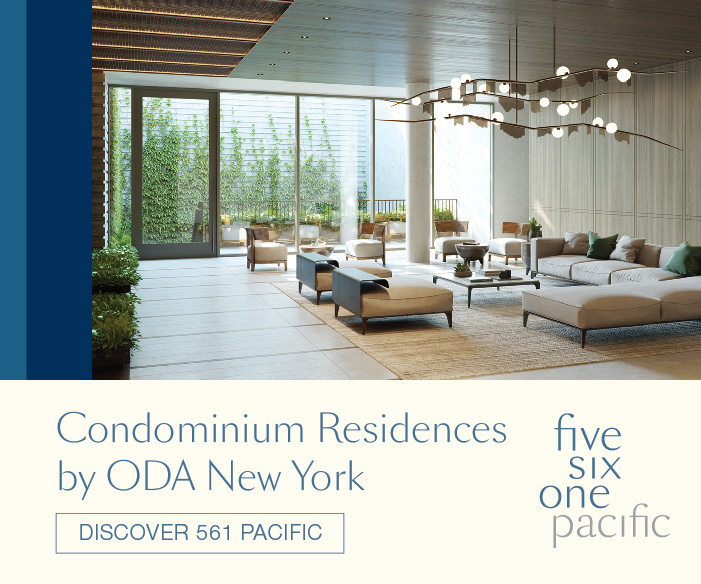 Five pieces, three pieces — for the same building, it could be one apartment has five pieces, another has three pieces, another has one piece. Is it challenging when you’re manufacturing them and something doesn’t fit when you get it on site? Yes, of course that happens. How do you prevent things like that from happening? The answer is that you first designed it, so you spend a lot of time with the drawings in the factory and also making sure — they call it “zipping it up” or “hooking it up” — because every time you have a plumbing line, you have to make sure it connects to the bathroom, kitchen, and anything functional. There has to be a plumber to make the hook-ups in the field, he’s not a factory guy. So how many pieces do you have in this building? And were there any faulty components you had to replace during construction? Well, you can’t replace them. You can’t? Wouldn’t you just go back to the factory and get the piece remade? What happens? Because you’re stacking them all up, you don’t know whether they fit or not until after they’re all on top of one another. They get stacked up in 13 days — the whole thing goes up in 13 days. It was only 13 days to put this building together? Well, to put the pieces together. There were hiccups, including dealing with New York City’s Department of Buildings for the first time on a project like this. Well, they had approved it, and we had built the building — it was all sitting in the parking lot in Pennsylvania, outside these big factories. And then the Department of Buildings realized it was modular, and that they better look more closely — so they did an audit, and construction stopped. How long was it sitting in the parking lot in Pennsylvania for? There was a 2 to 3 month delay. Everything got approved, but there were a lot of costs involved. 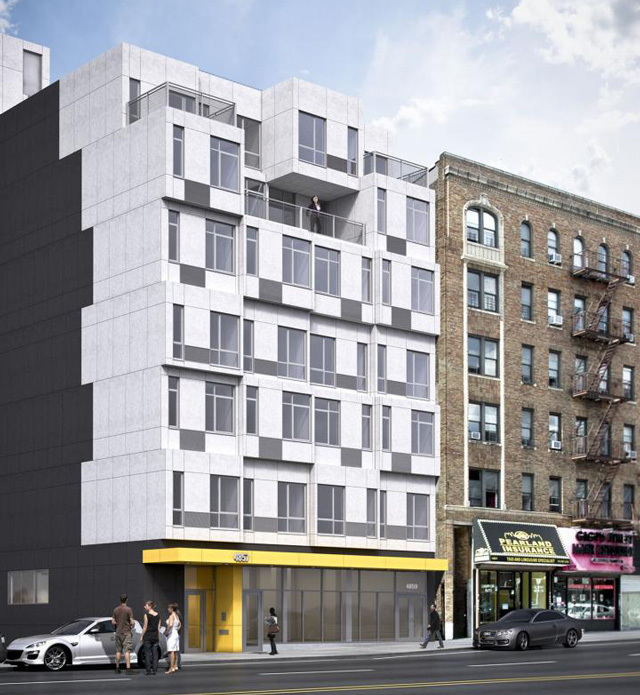 Moving on — what’s the background behind Gluck’s design for 345 Carroll? It’s actually really cool. It’s got a bluestone and glass facade – similar to bay windows, it’s really neat. Conceptually it was a question of trying to make a building that appeared somewhat contextual, but we don’t view context as being – you know, replicating what’s around it. We were also concerned about the scale of the building, because it’s a five-story building, but we wanted it to read like a three-story building. Which is why you have the different colored facades, right? The first floor is glass and concrete. Then the middle three floors are bluestone and bay windows, while the upper floor is mostly glass. How large are the average residences at 345 Carroll? There are four-bedroom apartments, and we have a range of two and three-bedroom units as well. I’d say it’s a fairly luxurious — actually, very luxurious. 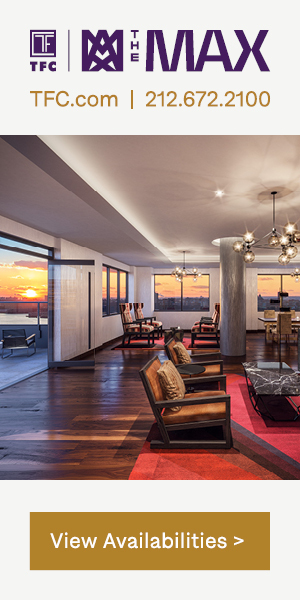 There are penthouses that have outside space, and then the lower units have a sunken green space available, as well. Lots of amenities as they say. 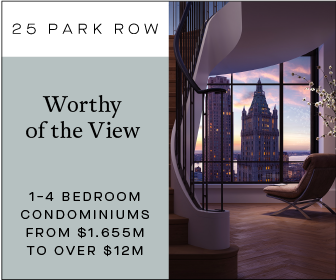 Any other New York projects on the near horizon? Yeah we’re actually looking/working at a new building — we’re doing the Collegiate School, as part of Riverside South. We should start construction in about a year. It’s a K-12 school, and one of the best in the country. The actual building will take care of all the community space for the master-plan, as well. 11 floors, if you count the basement. 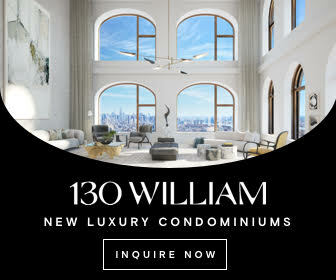 You haven’t done any high rise projects in New York, have you? Do you have any plans to do so? All someone has to do is ask!